Capoeira Mandinga Shanghai III Batizado 2010! 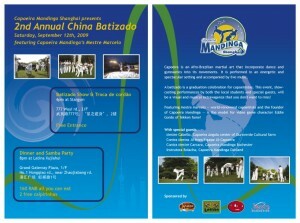 The 3rd Annual Batizado of Capoeira Mandinga Shanghai will take place on the 10th-11th-12th of September! Workshops, rodas, performances, party: it’s going to be a massive event! Roda and capoeira show at Shanghai Brazilian Day 2009 during Capoeira Mandinga Shanghai II Annual Batizado. 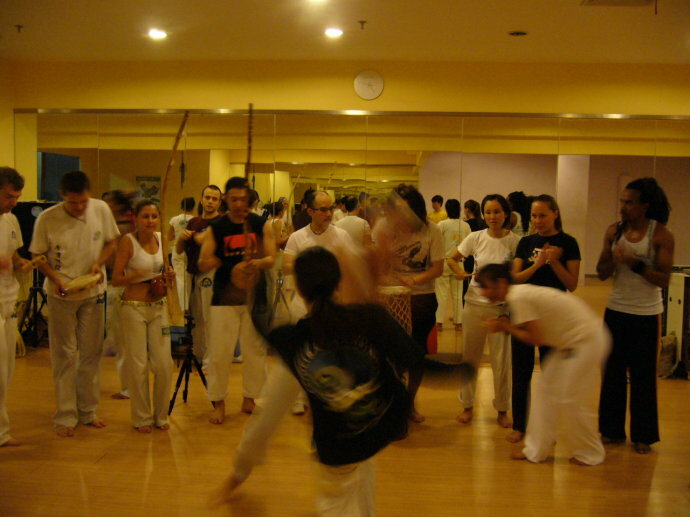 Pictures of one of the greatest capoeira event ever happened in China. Maculelê show at Shanghai Brazilian Day 2009 during Capoeira Mandinga Shanghai II Annual Batizado. Our Batizado Event will take place on Friday 11th, Saturday 12th and Sunday 13th of September. In order to participate to CMS II Batizado please fill on-line registration form. 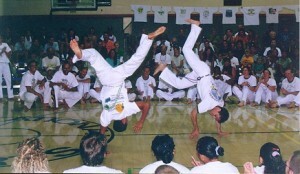 Our Mestre, Mestre Marcelo, founder of Capoeira Mandinga. Please invite your friends to come to see our batizado on Saturday 12th from 4:00pm to 6:00pm at Stargym in Wuyi Lu. It will be free of charge. Once again, this is going to be bigger than last year: more guests, more students, more Axé! 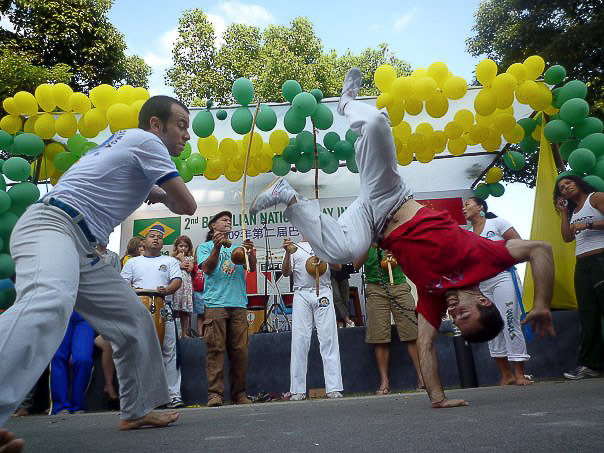 Capoeira Mandinga Shanghai’s second annual Batizado and Troca de Corda will take place on Saturday, September 12th. Following our massive success and vibrant performances at 2008’s inaugural Batizado at Lakeville Regency, Capoeira Mandinga Shanghai will be holding another visual and fun-filled event for 2009’s 2nd Annual Batizado and Troca de Corda.